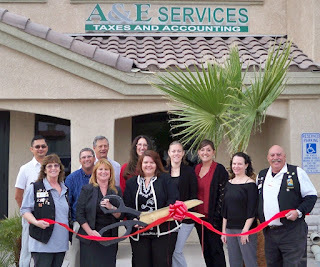 A & E Services, with the Lake Havasu Area Chamber Ambassadors, held a ribbon celebrating its 10th anniversary and new location at 289 S. Lake Havasu Ave., Suite 200. 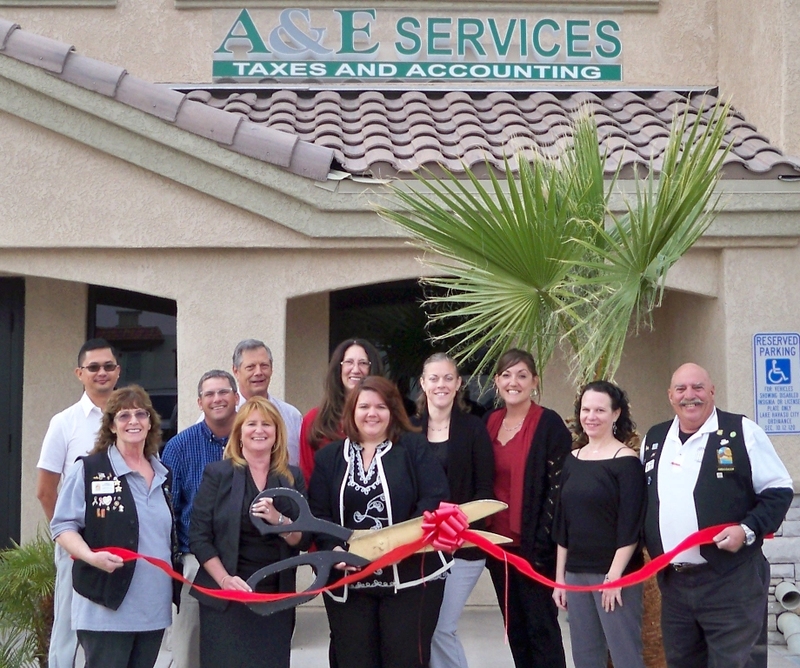 A & E Services is proud to serve the community of Lake Havasu City and looks forward to many more years. Attending the ribbon cutting from left to right were Rey Morta, Linda Sugamele, Noah Koch, Cindy Medina, Michael Bersch, Alisha Seidler, Wendy Moore, Tracy Wescott, Teressa Whorf, Michael Quinn and Lucky Atkinson.